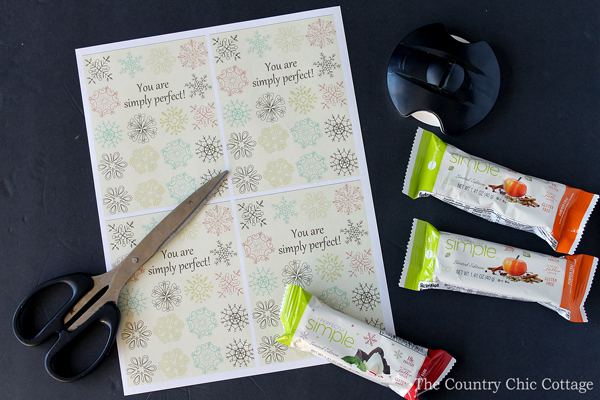 You are here: Home » budget friendly » Bar Gift Wrappers – perfect for holiday gift giving! Bar Gift Wrappers – perfect for holiday gift giving! This holiday season give an edible gift with our bar gift wrappers. This post is sponsored by ZonePerfect however all projects and opinions are my own. 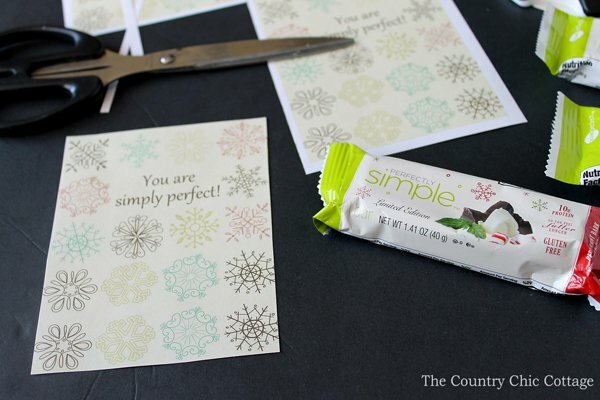 You can wrap up a ZonePerfect Perfectly Simple Limited Edition Bars like I did here for a great gift that is perfect for teachers, friends, neighbors, your mail carrier, and so much more! Plus with the ZonePerfect bars they can indulge in holiday sweets, without the guilt (they are under 200 calories!). 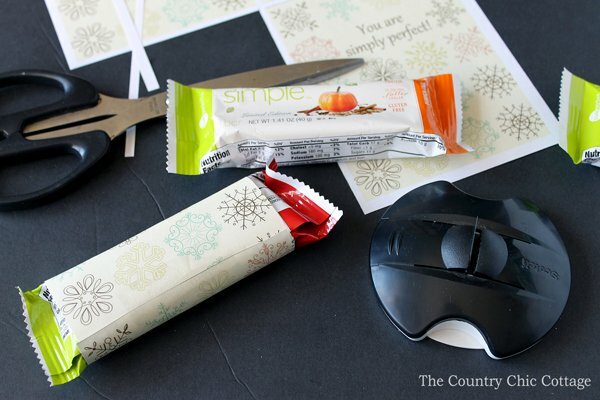 Trim the bar gift wrappers to size with scissors. Wrap around the bar of your choice and tape into place. This quick and easy gift idea is ready for gift giving! 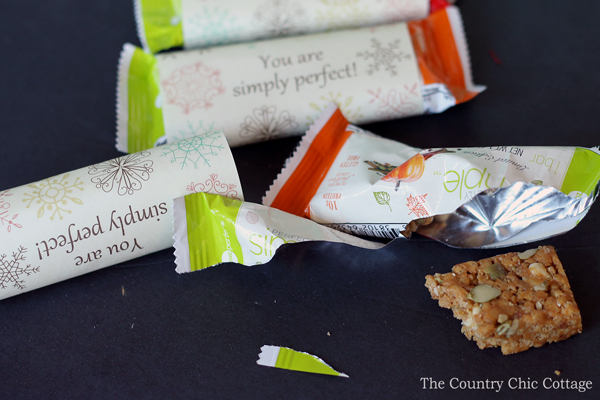 You will want to pick up extra bars to snack on yourself this holiday season. ZonePerfect Perfectly Simple Peppermint Bark and Pumpkin Chai bars are full of protein to keep you full of energy and to help you stay on track during the holiday season. 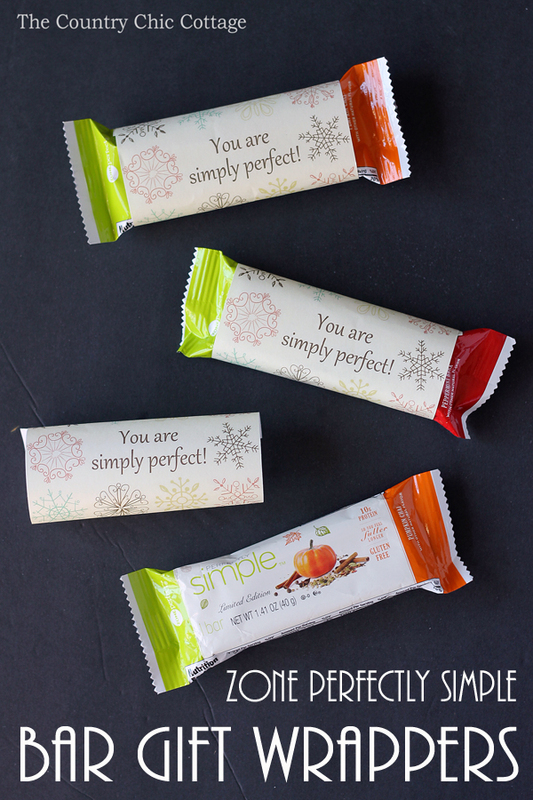 ZonePerfect’s Perfectly Simple bars are a perfect fit this holiday season because they a great way to snack during holiday travels, while helping you stay on track with your health goals in the new year. My favorite was the ZonePerfect Perfectly Simple Pumpkin Chai bars while my husband really enjoyed the ZonePerfect Perfectly Simple Peppermint Bark. I don’t think you can go wrong with either version. Plus the seasonal flavors make a great holiday gift! 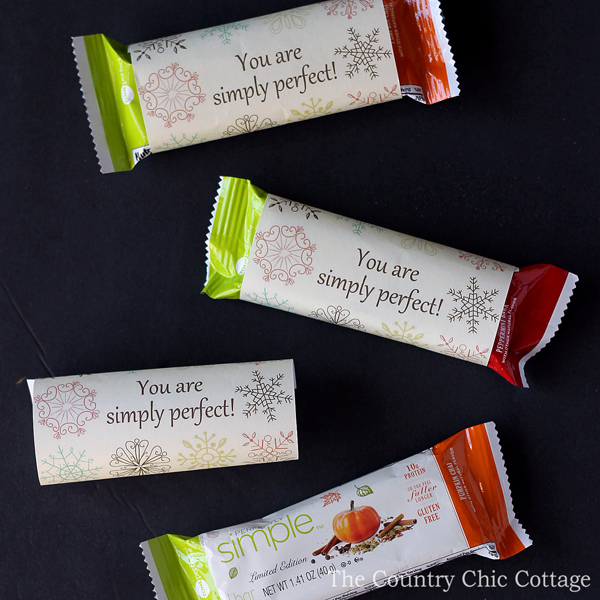 Print our bar gift wrappers and start giving these bars to your friends this holiday season. They will love being able to get an edible gift that will help keep them on track with their new year’s health goals!